I know what you’re thinking, how can a McMansion be green – especially with tiny homes becoming popular – and when you see the photo below you’ll be even more skeptical. Add in the $2.5 million price tag and it sounds like a bridge-to-nowhere disaster. But before you pass judgement let’s learn more about the home. The design allows the National Institute of Standards and Technology to turn the home into a laboratory, where they will test all the features – with no one home. Lights will turn on in the morning and after work. There will be fake microwaving and fake cheering for a football team on the TV. Garage doors will open and close several times. All to simulate the energy use of a typical family of four. 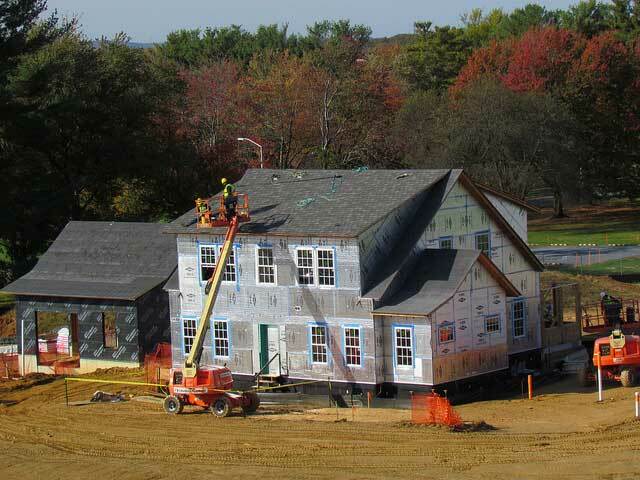 It’s a great goal – to have net-zero energy homes – but why did they have to do their research on a McMansion?